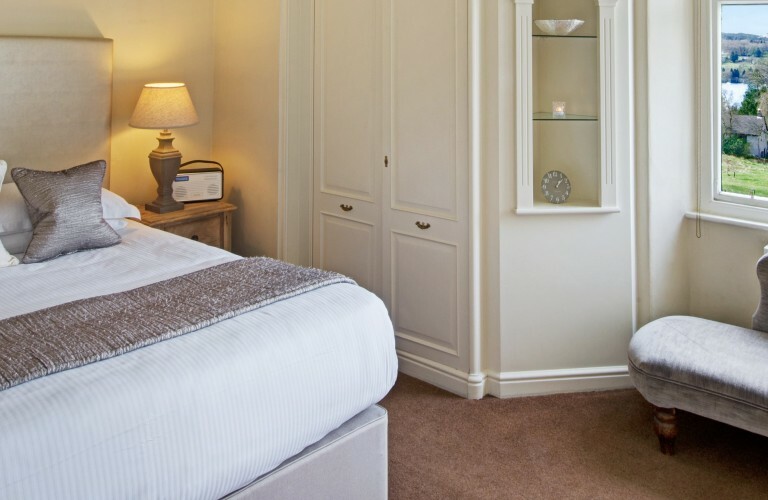 Our Grand rooms are our best rooms, their name comes from the Cumbrian dialect word for great or excellent, as you might say they are ”reet grand”… each room provides plenty of space for you to stretch out, with easy chairs to relax in and take in the views as well as all the usual creature comforts you might expect. 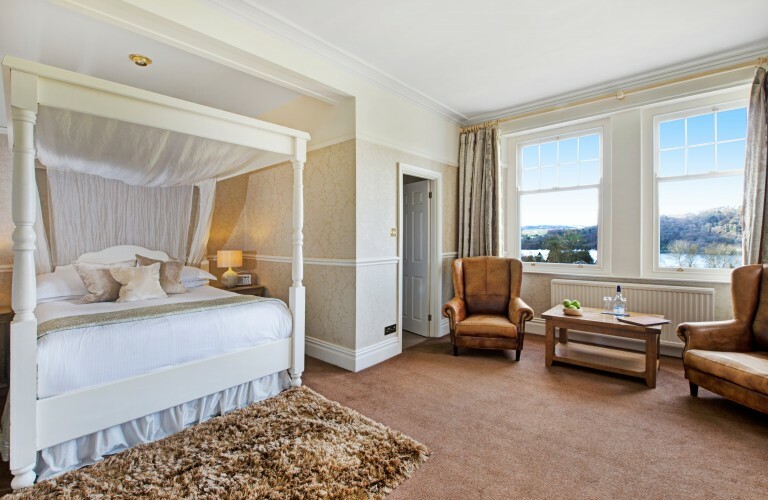 Each of the four rooms is individually furnished, featuring comfy large double or king sized beds, flat screen TV’s and tea and coffee making facilities, complete with Farrer’s of Kendal Lakeland tea and coffee.All of these rooms are located on the first floor, one boasts a Juliet balcony, the other three large picture windows framing the perfect views over Windermere, Claife and the Coniston Fells. 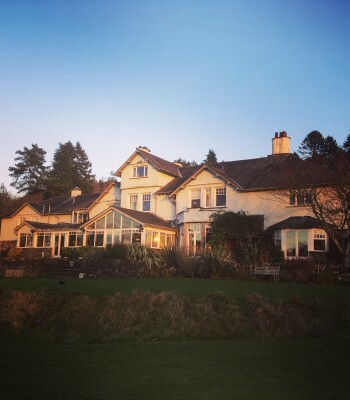 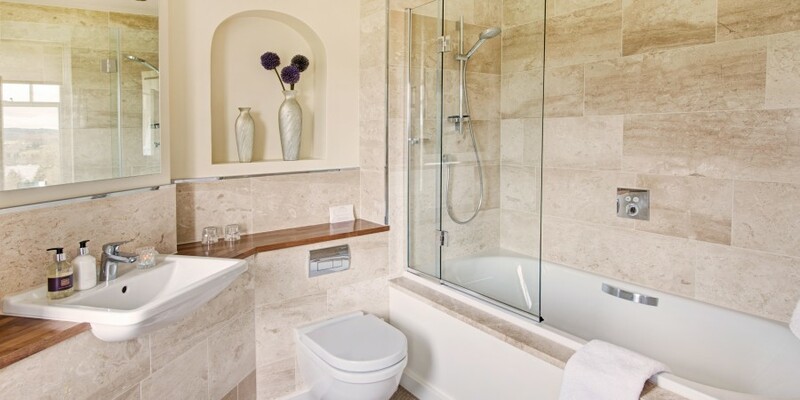 All of our Grand rooms have ensuite bathrooms, with showers and double ended baths and feature complementary Bath House skincare and bathing products, made naturally in Cumbria using only the finest ingredients.